All entry fees must be paid in full to the CC SHOW HUNTERS account on the main site for your entry to be processed. Go to the SHOW HUNTERS Leaderboard to check your horse's current level. Horses may enter below their level but those entered above will be disqualified and entry fee confiscated. 11654	BEY Shah+ EXQ -- had his name misspelled on the leaderboard it is 11654	BEY Sha+ EXQ (sending in a fix after this show) thanks! This phase will remain open for 14 days from the time of this post. You can submit any photo, story or a combination photo and story, as long as the entry is original and has not previously been used. Horses need to be entered in the randomized phase to qualify. Horses that have been disqualified may enter and collect points. 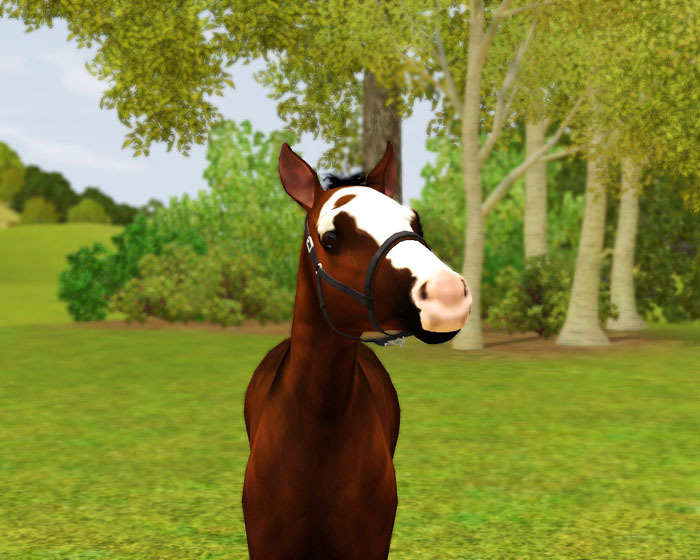 A total of 5 horses per member can be entered in the Role Play phase. 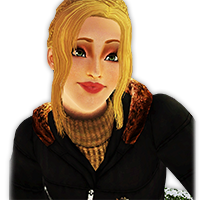 Entries must be submitted via the Roleplay Phase Entry Form to be counted and earn RP Rewards. Story entries must be at least 300 words long and related to the show or the entry will not be counted. Entries longer than 300 words will not receive extra achievement points. 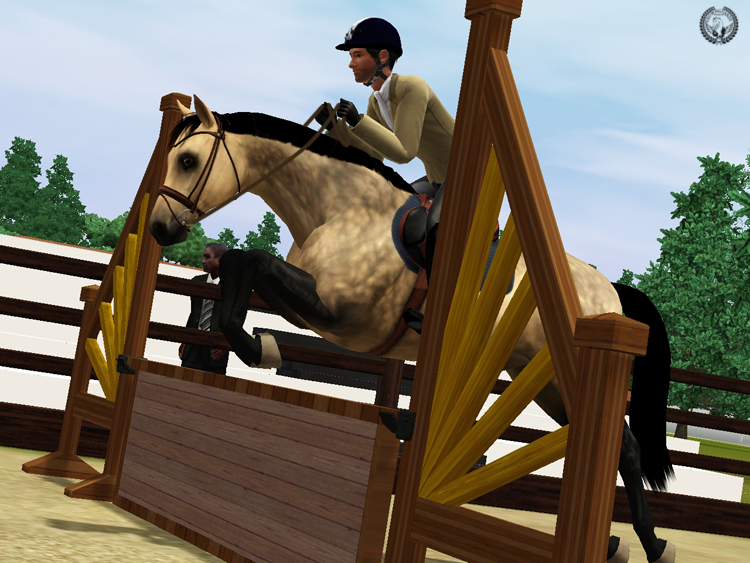 Photos can be inspired by how your horse did in the competition portion of the show or you can do anything related to the show - e.g. arriving at the show, watching a class, etc. One entry will award 2 points (photo or story). If both a picture and story are submitted, 1 extra point is awarded for a possible total of 3 points per horse. Irene leaned cautiously on the fence that marked the sand where Manuel was heating a Concorde. Both made an amazing couple. 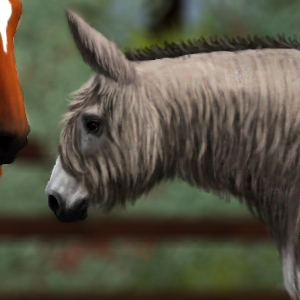 The trust between the two was born the first day, when the rider met the beautiful sorrel stallion. The bond between the two was impressive if Irene took into account the time the horse was in Crownguard's. That fact, however, did not prevent him from feeling nervous. With each new competition, with each new victory or good positioning, Concorde increased in level ... and the competition became more demanding. The horse was not a young man, precisely. With ten years, Concorde had two titles on his back and she suspected, he was on his way to the third. "I'm a bit irritated at your ease in keeping you quiet." Manuel just smiled at his words as he approached his boss. "If I did not know you well, I'd say you're jealous of me"
The two horsemen had years of friendship and healthy rivalry behind their backs. 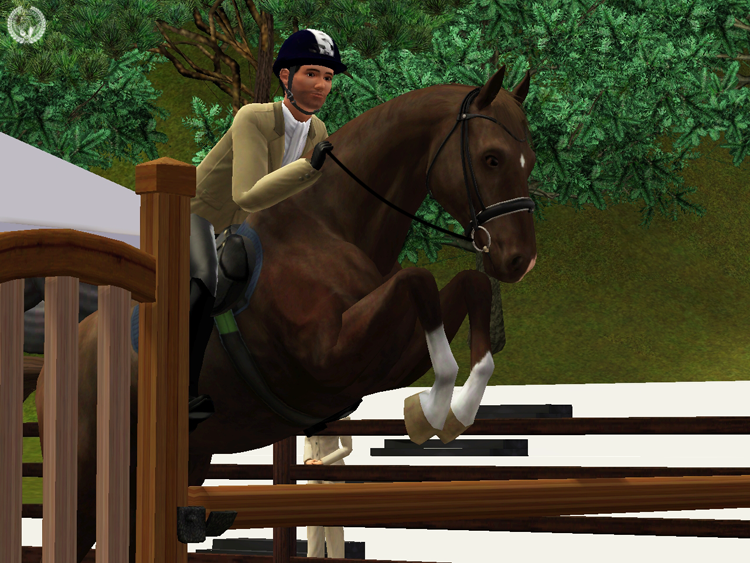 Both had mounted games for the equestrian world, and both began to compete in their childhood. When he turned eighteen, Manuel left Spain to settle in England, where he continued competing in Show Hunter. On the contrary, Irene had remained in her native country, reconciling training and competitions with the management of a stable that was growing larger every day. But, over time, the two met again ... although now they were boss and employee. "Just go out and do not force him." Irene read that, ducking her head. Equestrianism was a sport, any small mistake, or any other fault that meant the life of the horse or rider, and the young owner of Crownguard's Stud did not want to lose either. "You know," said Manuel, happy, "We'll take it as usual, calmly." When the loudspeakers announced the duo, Manuel bowed his head as a farewell and trotted towards the main runway, prepared to take another smooth ride over the obstacles. The trust between the horse and the rider earned them the first place in their class. Alicia watched closely around her before sighing. She is part of the team that always travels with Crownguard's horses to take care of their grooming and to prepare them for warm-ups and shows. She adores all horses, but, like everyone else, there is one that has a special hole in her heart. That's SBS Lantana, a twelve-year-old dutch mare. Despite having 4 bonus points in Show Jumping, she really did not have much luck in that discipline. When Irene decided that she should be trained in another discipline, her rider as the trainer quickly thought of Show Hunter ... and again, Lantana proved not to have much luck. Maybe it was that facet of a girl with no luck that captivated Alicia, although she would never talk about it. Alicia used to think that, like wine, Lantana is slowly maturing. She was convinced that, with a little patience, the mare's luck in the competitive field could change. Destiny wanted Irene to think exactly like her ... up to a point. "You know? Get only a few points and you can retire soon. Live a quiet horse life, with your treats always within reach and without so much control in the food ... it sounds good ". Alicia spoke to Lantana as she placed the chair on her back and took care to squeeze it with precision. "Maybe you have some children. One or two ... I think there will not be many. You know, Irene prefers quality and not quantity ... at least, raising. " 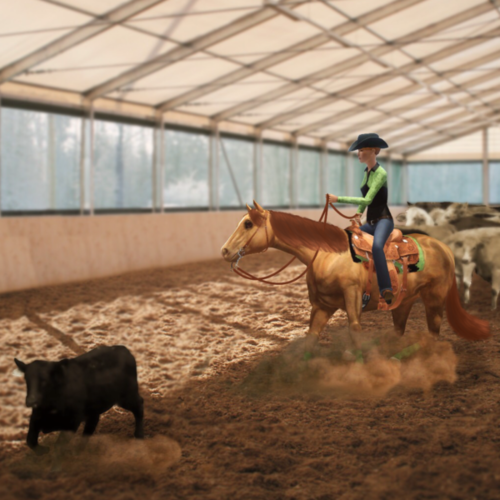 When Alicia finished with the cinch, she went in search of the reins. She had to remove from her path a small bale of hay that quickly caught Lantana's attention. "It's early for this, Lanty." Alicia laughed. "Be a good girl in the arena and you'll have one of these for yourself. I promise". Just a few minutes later, Lantana's rider claimed the mare and they both went to the warm-up arena: it would be their turn soon. Lanty was great in the arena, managing to qualify in third place. On her return she got a bale of hay for herself, just as Alicia had promised her. It was already early when it would be our turn this time. Normally Callista and Jess act like real professionals, but this time it was different. Jessica knew that when they did good enough it probably will be their last Show Hunter show after ten years of competenting together. The mare and she already started when she was still quiet green with only a few shows. She already knew that they both were in great shape. They used the break oder the winter for some training and Callista did even better than before. She got in the saddle and peted the neck of the grey mare. With a sigh she whispered: „Comon big girl, we will be great as always.“ Through it seemed that also the mare could feel that this time it was kinda different. There wasn't only the excitement the mare can feel also she noticed that Jessica was kinda sad. Everyone gave the mare a big hug before they walked towards the arena. It seemed that the mare got a little nervous and confused since she wasn't used to it. They headed towards the arena with all staff following them. Jase, Callista‘s owner and the owner of Celtic Stud, said that when the two do good they should be their last competition so that the mare could enjoy her retirement. They heard their names through the speakers and as a switch was turned on all feelings gone and the two only concentrated on their task and themselves as a team. They cleared their round without any faults and even got second in their subclass. Seeing the two knowing each other Jase decided that Jessica should probably make the decision, when it is Callista‘s time to stop. Coming back with a nice red ribbon on her bridle Jessica started to unsaddle the horse Jase told her. Jessica was so happy jumping around like crazy and hugging the mare which got so nervous that he chewed a hole in her jacket. „Well first you need to buy me a new jacket for ouer next show.“, while looking at the hole which appeared on her shoulder.